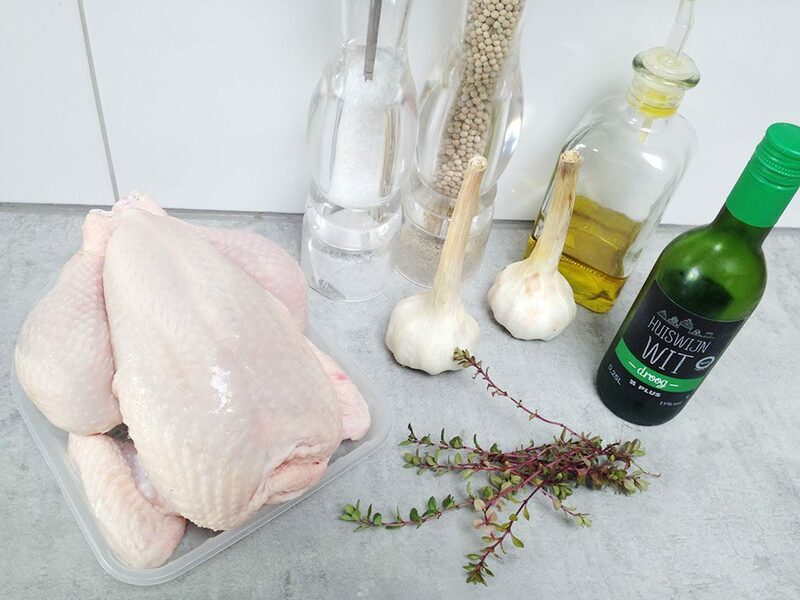 Roasted chicken with 40 cloves of garlic is SO amazingly juicy. Wait what did you say? Yes, you'll really need forty garlic cloves and you won't regret it! 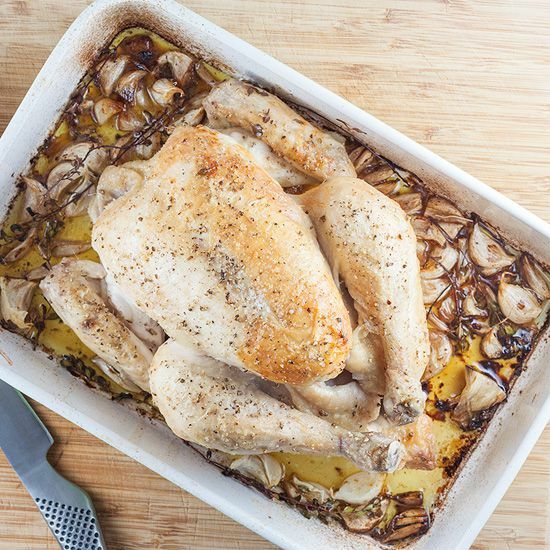 PLACE the whole chicken in the oven dish and drizzle with lots of olive oil, pepper and salt. 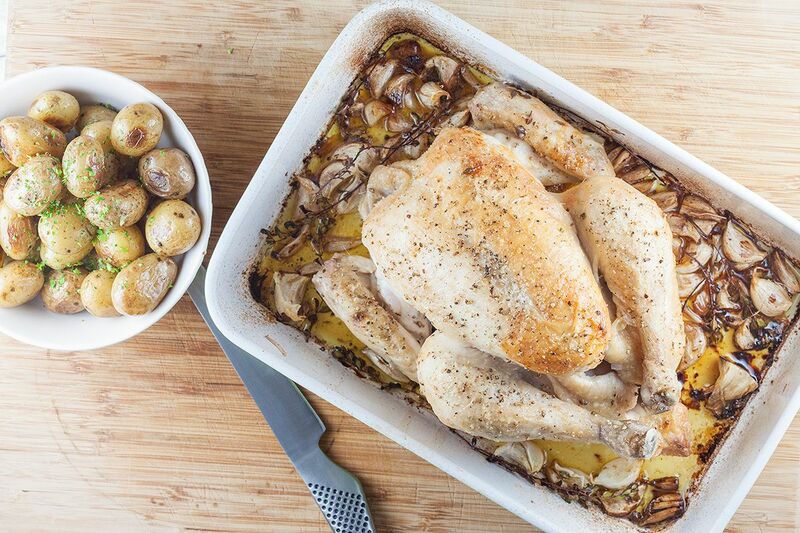 Place the whole garlic cloves and thyme sprigs around the chicken in the oven dish. You’re right, there’s no need to peel all those garlic cloves. POUR the dry white wine inside the dish. That’s it, there’s not much prep work to do for this recipe! PLACE the oven dish in the oven for at least an hour, depending on your oven and size of your chicken. You can check if it’s ready if the temperature of the thickest part is at least 71 degrees celsius or 160 degrees fahrenheit. Serve with oven roasted potatoes and a large green salad with spinach and red onion.